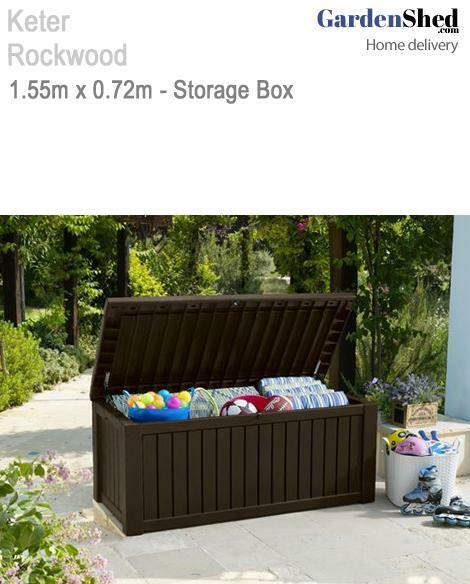 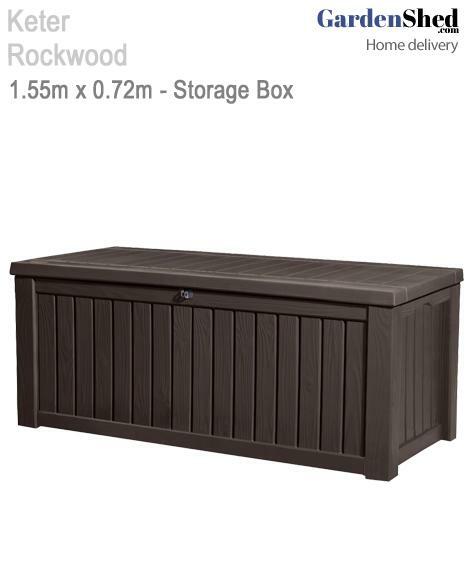 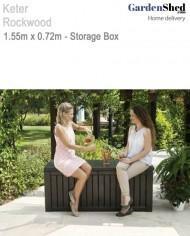 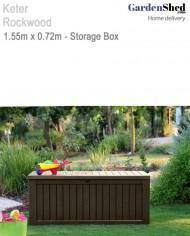 The Keter Rockwood is a storage bin that can be used indoors or outdoors. It is durable and weather-resistant. 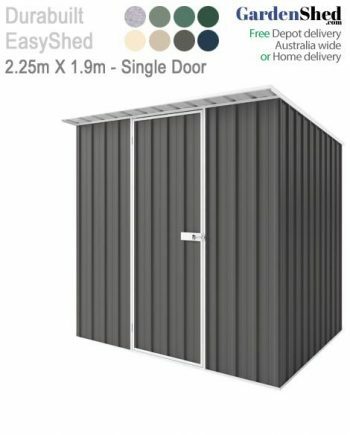 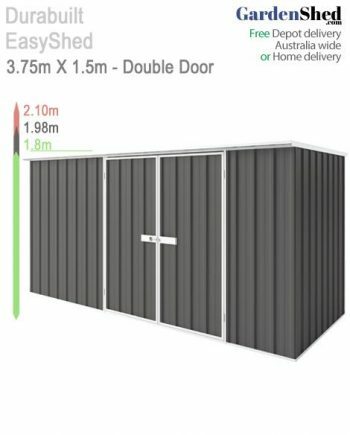 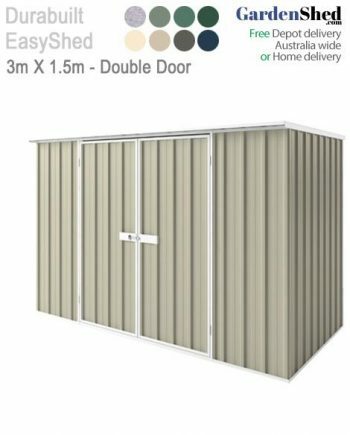 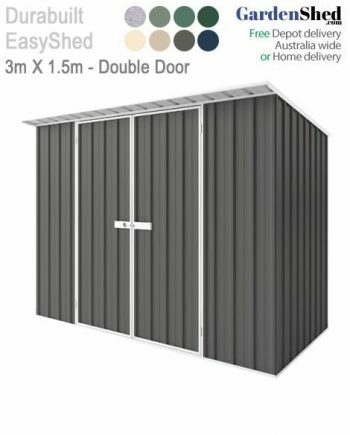 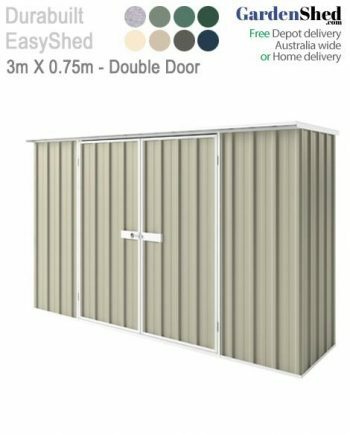 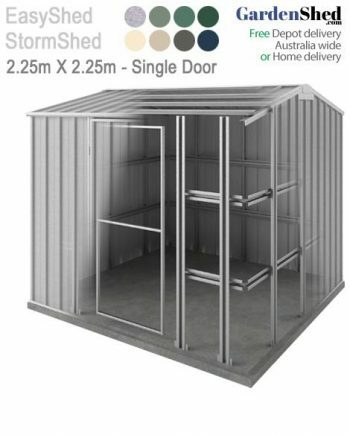 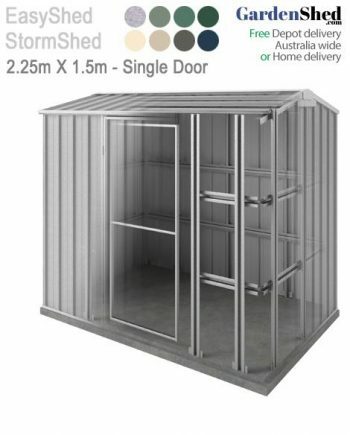 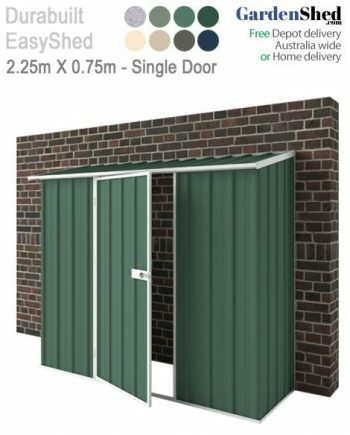 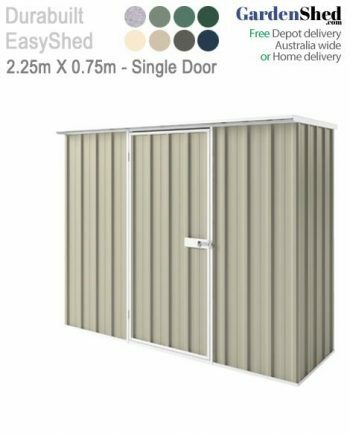 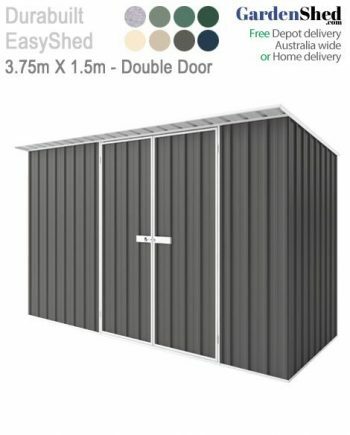 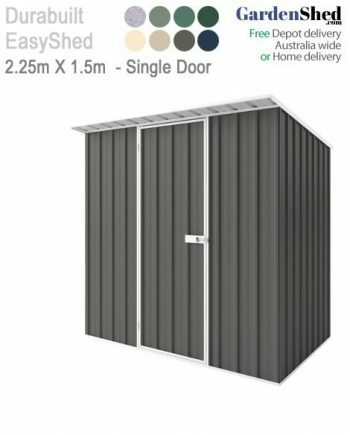 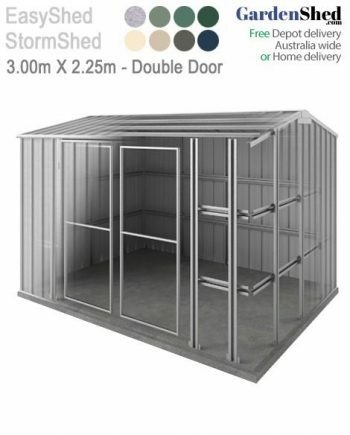 It comes with a floor base, and can be opened from the top or the front and can be locked for that extra sense of security. 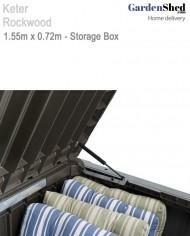 Capacity: 570 L/150G sealed storage capacity.